Electric heating equipment can provide warm, almost instant heat for your home and family with just the flip of a switch…if it is well-maintained. Winter is coming! And according to The Old Farmer’s Almanac, it’s going to be a colder-than-normal and wetter-than-usual winter here in Maryland. Still, you have time to worry about that later, right? Well, yes and no. It is true that winter is still several months away (December 22), but that day will be here before you know it and it is important to address your heating system before you need it. Fall is the perfect time to have your Electric Heating System serviced. Electric heating and electric heating equipment can provide warm, almost instant heat for your home and family with just the flip of a switch. However, to ensure such comfort this winter, it is important to have your electric heating equipment serviced and repaired this fall. Cold weather is coming, so you better be ready. And there are actually several benefits to addressing HVAC maintenance early. 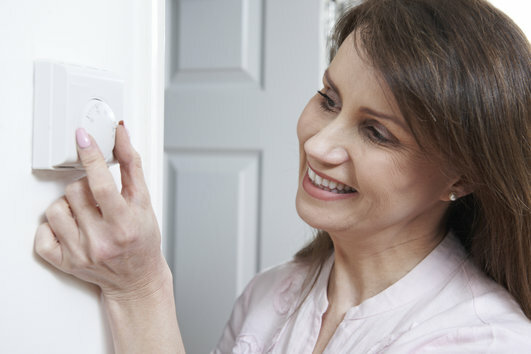 Heating accounts for 34% of annual utility costs in the average home. In order to keep your utility bills more manageable, it is important to ensure your heating equipment is running at peak efficiency. This will not only keep your home nice and toasty throughout those frigid Maryland winters, but will also keep money in your pocket. Come winter, HVAC companies will be inundated with service requests. This means that you could be waiting quite some time – days or even weeks – to finally have your equipment inspected and serviced. Instead, get a head start on heating maintenance and schedule your service this fall, when business is a little slower for HVAC companies. The last thing any homeowner wants is for their heating system to stop working in the middle of winter. Burrr! This is just another reason why it is better to have your system serviced during the fall. Timely and preventive HVAC maintenance will help ensure your electric heating equipment works properly, extending the life of your system. It is crucial that this electrical work be performed by professionals to reduce the possibility of fire. If you are interested in learning more about Electric Heating System Maintenance, please contact TriStar Electric by calling 410-799-5791 or 301-384-8880. Our electricians will answer your questions and provide you with expert advice. This entry was posted on Friday, August 28th, 2015 at 6:09 pm. Both comments and pings are currently closed.